This recipe has been our family favorite for over 70 years. My mom would make these red beans every Monday, just like most New Orleanians do. I have probably given out this red bean crock pot recipe dozens of times. It’s pretty traditional. When I worked at Popeyes’ corporate in New Orleans, we put together an employee cookbook and my recipe was included. And when I moved to Houston and I worked for NATCO we put out an employee cookbook and I got emails of many people who loved this recipe. If it’s Monday in New Orleans, then there are thousands of households and restaurants with a big pot of red beans simmering on the stove. There are as many recipes for red beans as there are for gumbo. This one is my family favorites, based off of a common New Orleans recipe with a few changes my family made. My wife had never had real New Orleans red beans and rice until she had my recipe. 1 whole garlic, minced – yeah, ya gotta have the garlic! 1. Cut pickled pork in 1 inch cubes and brown in 1 tsp. olive oil. Put in bowl for storage over night. Leave the pan drippings for the next step. 2. Sweat vegetables in the olive oil and pork drippings with a bay leaf. While the veggies are cooking, and there is plenty of water in the pan, deglaze the pan by scraping the brown deliciousness from the pickled pork from the bottom. If not using pickled port, sweat vegetables in 2 tablespoons of olive oil until almost dry. Season with 3 or four grinds of fresh black pepper, 1/2 tsp. of salt and 1 tsp. of Cajun seasoning or to taste. 3. Slice the Andouille or smoked sausage into 1/8 inch rounds and put in the bowl with the rest of the seasoning and pickle meat or smoked ham. 5. Get out the crock pot. Wash beans in and remove any debris and bad beans. Put the beans in the crock pot and just cover with water. Stir in 1/2 tsp. of salt, 1 to 3 grinds of black pepper and a 1/2 tsp. of Cajun Seasoning, and place 1 bay leaf in the water. Do not soak for more than 10 hours. 1. Turn the crock pot on high. Get the bowl of vegetables and meat out of the fridge and put into the crock pot. Add the 8 oz. of tomato sauce and add water until up to the rim. Best to put the crock pot on a baking sheet with sides to catch the run over once the pot begins to boil. 2 .Cook on high for 4 – 6 hours, after which, reduce to low until the beans are tender. Keep water level near the top. Recycle the water that overflows onto the baking sheet. 3. Taste and adjust seasoning as desired. 4. Cook 2-2 1/2 cups of long grain rice. I like to have enough for leftovers – if there are any! 5. Serve over steaming white rice with French bread, or garlic bread, and a nice green salad. Serves about 6 to 8. Well tomorrow is Monday. 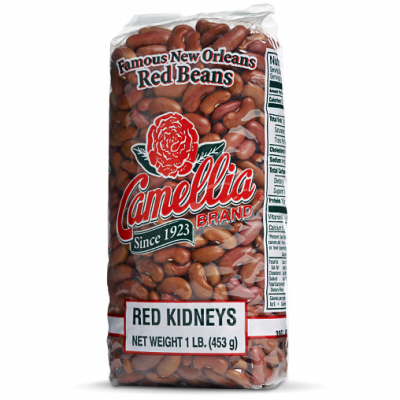 Which means it is Camellia red beans day. 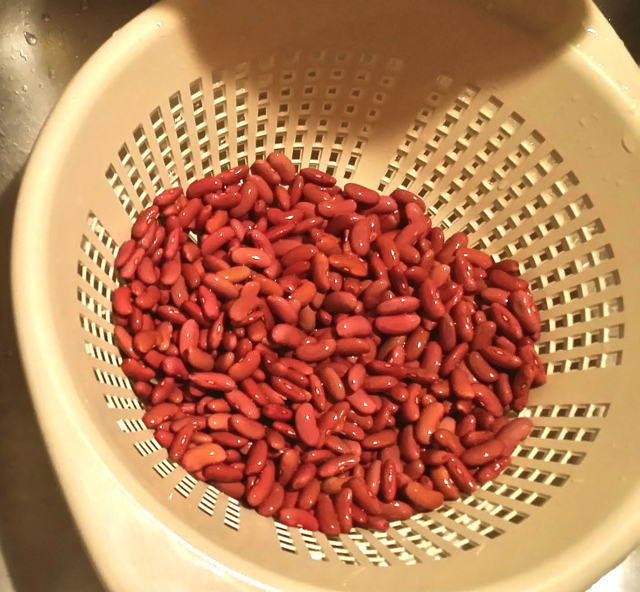 And as you can see I have just washed my Camellia red beans and I’m going to put them in the crock pot and fill it with water for tonight. 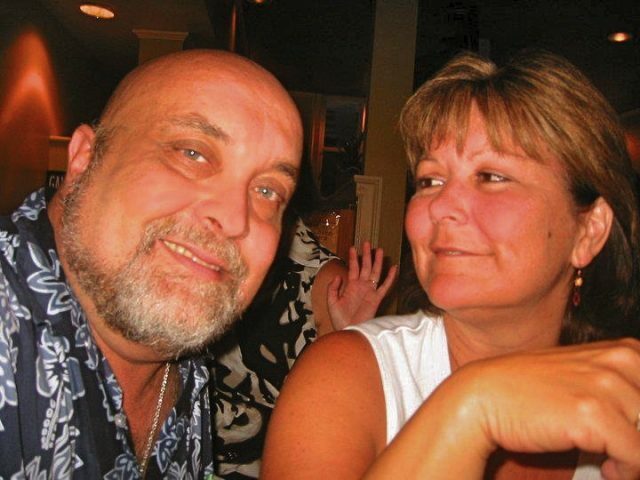 Tomorrow, I dump my vegetables and meat into the crock pot, turn it on early in the morning and by 2 or 3 maybe 4 o’clock the beans will be ready and the rice will be cooking! Pickle pork, or pickle meat is only available in Louisiana. Savoie and Richards puts it out and I like Savoie’s better. It can be ordered online from Cajun Grocer, but it’s expensive. Mostly the shipping. Order a dozen or so and it’s not too bad. Usually though, I just wait to go home, and get a dozen packs or so. Pickle pork is very lean pork that has been pickled. It was a way of preservation before refrigeration. Not to be confused with salted pork. My mother and both my grandmother’s used both sausage and pickled pork in their red beans. I have a little measuring spoon trio that measures a pinch, dash, and a smidgen. A pinch is between a dash and a smidgen, with a smidgen being the smallest measurement of the three. I don’t like to over season my food. I put enough seasoning to suit the taste of the person who least likes a lot of seasoning – just a slight after-burn. Then, I put the peppers in vinegar, and Cajun Seasoning on the table with the pepper and salt. You want it more seasoned, then you can do it your self at the table. I cook with what taste kids will eat; because if the kids like it, they will continue the custom and you have another easy meal that feeds a lot!